Torrential rains and flash floods in Pakistan have killed 26 people over the last three days, local channel Geo TV reported Sunday. Thousands have been forced from their homes by the downpour that began Friday and has submerged parts of southern and southwestern Pakistan. 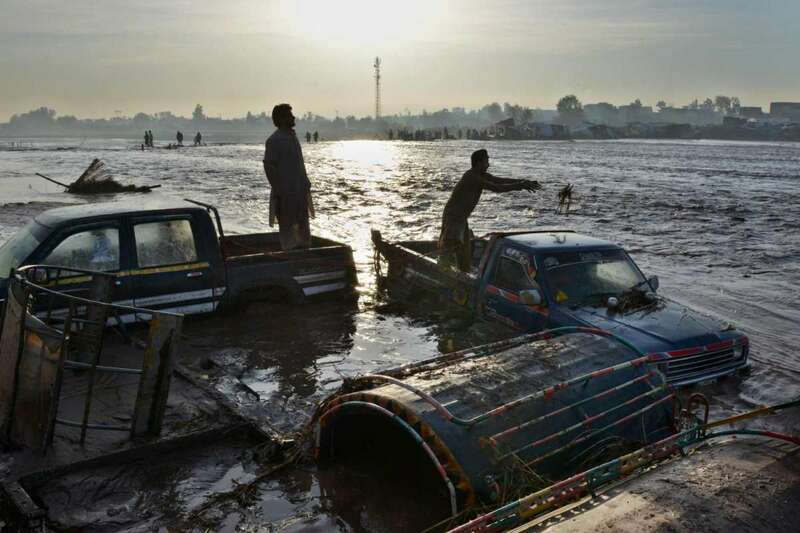 Floodwater from overflowing canals and nearby mountains rushed into villages and low-lying areas while the commercial capital Karachi has seen 14 people die, mostly due to electric shocks and roofs collapsing. The meteorological department has forecast more rains over the next two days, which is likely to trigger more floods in the affected areas. Last week a flash flood washed away a bus carrying guests to a wedding in northwest Pakistan, killing 28 of the passengers.